The cereals are generally readily eaten, they are they are rather low in protein and moreover they are of a lesser quality. The cereals are not rich in vitamins, they contain hardly any vitamin A, contain practically no vitamin D, they do however contain quite a lot of vitamins B1 and E, but on the other hand they don’t contain much vitamin B2. They are not rich in phosphor and there is hardly any calcium. The energy-richest and most important cereals for the feed are corn and wheat. In contrast to some colleagues I don’t consider barley as pigeon food, neither for breeding nor for during the season. It can however be of use to clean the intestines immediately after the race and as an easily digestible element during the winter. Why is there a difference in opinion? Barley contains quite a lot of crude fibre; the pigeons don’t really like to eat it, at least not as much as other cereals. The crude fibre is indigestible for pigeons and this is seen in the droppings when they are given a lot of barley. The fibres can be seen with the naked eye, they are passed through undigested. Apart from its crude fibre, barley is also not rich in other nutrients. Its protein is biologically poor, barley contains hardly any fat or vitamin A. Barley only has a calorific value of 75% of second choice corn. It has also been proven that giving breeding pigeons more than 15% barley slows down the growth of the youngsters. Pigeons which are given a lot of barley during the winter and are given more than 15% barley don’t raise good youngsters. Widow hens which are given too much barley become short of breath, and have trouble laying if they are not given a good breeding mixture in time . 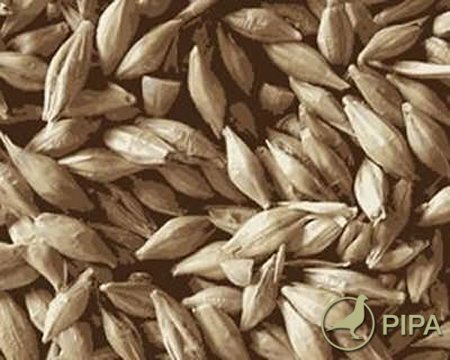 Barley reduces the presence of trichomonasis for the good reason that it is not even good enough to feed the bacteria. The modern medicine for this sickness means that excess use of barley is needless. It is, also for our sprinters, advisable not to give more than 10% barley during the first days of the week. Corn and wheat are better grains for out pigeon food . Corn is undeniably one of the best pigeon foods, it is low in crude fibre, easily digestible and one of the fattiest of all the grains. The pigeons love it in all shapes, sizes and colours. The main thing is its hardness. Corn should rattle with dryness. 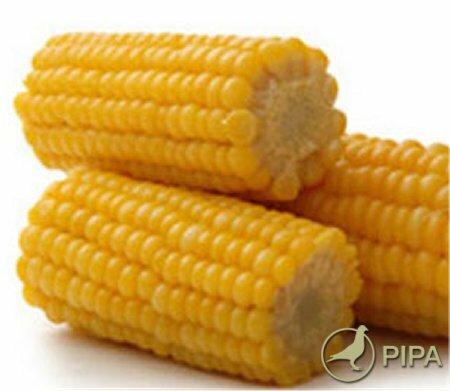 Corn is poorer in protein and above all inferior in quality due to the absence of two essential amino acids, namely tryptophan and lysine, which is in too small a presence to be of any importance. The various sorts of corn are not much different in their nutritive value, except that red corn contains more vitamin A. Corn should them make up 25% of the feed . Also known as sorghum contains more protein than corn, but significantly less fat. For the rest it has the same nutritive value as corn and can also make up 25% of the feed . The pigeons love to eat wheat. It is just as good as corn, because although it contains less fat, it is richer in protein, which is not better biologically. 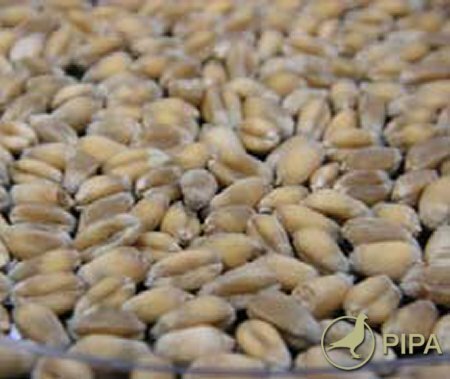 Wheat is also rich in sulphur and therefore highly recommendable during the moult. Wheat may never be given directly after it has been harvested as it has to sweat out. My late grandfather used to spread out a layer of about 20cm in the attic and regularly turn it over with a wooden shovel before giving it to his pigeons. Wheat can make up 25% of the pigeon food, more is not recommended as wheat can cause the pigeons to gain weight. This last remark for the sprinters who have to avoid their pigeons getting fat, but on the other hand it is interesting for the long distance men who can use wheat to help their pigeons recuperate after a difficult race . Yes, its a very good article. But, where is the other food items?? Next time we will see a complete article about all food items, I hope. All is interestig but please be carefull with barley! Barley making every birds stiff (!) tip of tongue.The reason is sharpness of barley grain and making microcutig tip of bird tongue. In effect birds cannot eat and loosing weight. While the article is interesting, I cannot agree with the statement that the energy-richest and most important cereals for the feed are corn and wheat. Corn yes, but not wheat. The reason is that "wheat" contains a lot of phytinic acid. The absorption of iron and other minerals are hampered by phytinic acid. For the most part grains contain starch. Starch when broken down into its chemical composition comprises: amylose and amylopectin. The ration is 1:3. Excluded from this are two grain that contain only amylopectin. They are - corn and rice. White dari and red dari (milo)contain low amounts of phytinic acid and it stands to reason that these should be utilized more in mixtures of racing feed. Thanks for the information, but I do have a comment: Sorghum is not Millet, but rather Milo. 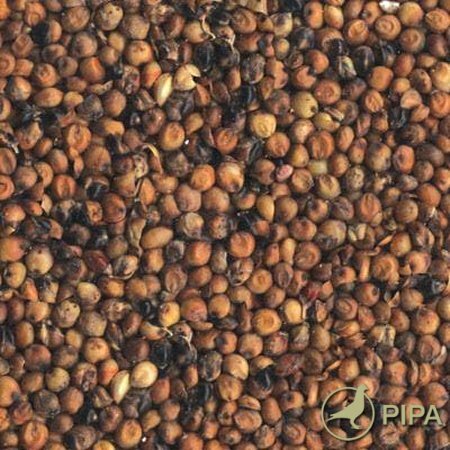 Millet is a much smaller yellow or red seed. Thanks! Mmmmm, dangerous info here, although the author means good I am sure !, there are at my last count 25 x different types of Barley and it is important that you get the correct one. EVERY RACING MIXTURE should have a proportion of Barley in to help all fanciers from over feeding, one of the biggest reasons for poor results. Here in Oz I visited the grain collection terminal where all the Barley is brought too ( the Grain growing area here in West Australia is bigger than the whole of the UK) and was astounded at the different shapes, type and colours of the different Barley grains. Malting Barley is the best. My racing loft is in the UK , so don't think I am talking B-------t.
Plus d'articles de ce genre sur pipa serait le bien venu. (Conseils, reproduction, préparations pour les concours, Ventilation, etc.... ). Sélection des pigeons, suivant les distances choisies ( l'aile, gabarit, Oeil, etc ..... ).